Back in 1982 Mattel wanted to jump into the now growing Home Computer business with the likes of Atari 400/800, Commodore VIC-20 and 64 and even Coleco's ADAM. 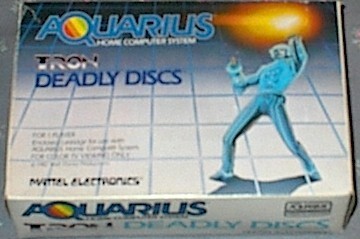 Mattel's efforts fell short, however the Aquarius is very sought after these days. One of the downfalls to this system was its inability to play Intellivision games unlike the Coleco ADAM which could play Colecovision games. These systems make a great part of any classic game or computer collection and all have been tested ! 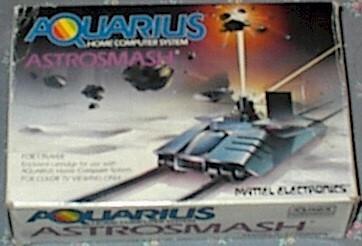 Mattel AQUARIUS Home Computer System . You get with the system. Includes Main Computer Console w/ Keyboard & built-in MS BASIC, Video Cable, TV/Computer Switch , Manual. All in original box. 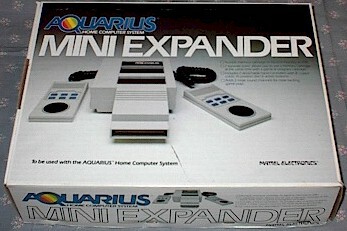 The Mini Expander is used with the Aquarius to expand its capabilities. The unit slides into the game port and has 2 ports, one for the game or program and one for a memory cartridge (Both games, problems and memory cart not included). Also includes 2 game controllers for better game action. 16K Memory Cartridges , New In Box !!! More Mattel Aquarius items like Data Recorders , Printer , Software coming soon !